Wow! They must be at least a few weeks early. Morel season is upon us, at least just South of the blue line. Good luck and enjoy the hunt! Found six of these yesterday! This one is 9#4oz, left 4 behind to get a little bigger. That is a beauty! Went looking for them on Saturday. Didn't find the hens, but I ran into a nice batch of fresh sulfurs. I was thrilled. 2016 shrooming hasn't been very productive for me. The Chaga or Tea Mushroom. I found a couple nice king boletes yesterday. The hens continue to elude me. Spectacular streamer! Someone got one of my hens and not sure if another fruited this year so I think I'm going hen-less this year. Fungi are finally starting to show themselves as of late. 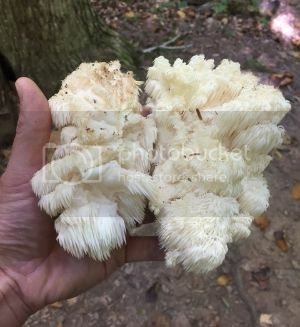 My Adirondack fishing trips have yielded oysters in quantity along with some small lion's mane. I saw some honeys coming up sunday in a hardwood forest. If you eat a poisonous mushroom, you'll die. Mycophobia is a rational fear for the uneducated. For those who choose to learn the fear is irrational. Rainy weather brought out some hens and late chickens this past weekend. I also found a nice bunch of oysters a few days ago. They were fresh and bug free. Some oysters from deep in the backcountry. 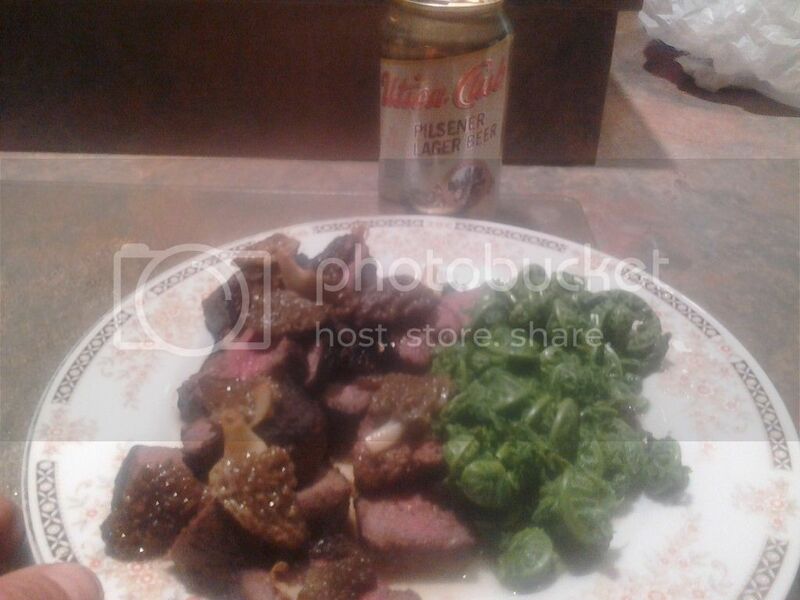 Fresh picked Morels and Fiddleheads over Adirondack venison backstraps. Died and went to heaven! Damn! Thought I was doing good with a nice batch of sauteed ramps. Morels already?! 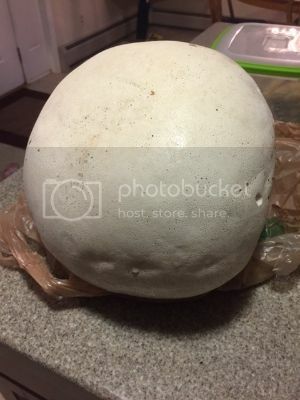 Those are the one shroom I can't seem to connect with other than the weird random find here and there. Well, that and black trumpets but I'm happy with the amount of chants I get so not such a big deal. Congrats! Creekwater, They are definitely out around "the place of the nettles". I have a hard time locating Black Trumpets also.